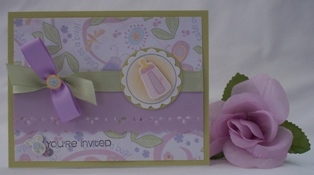 Find lots of hand made card ideas using circle punches and creative examples of handmade cards using circle punches. There are so many tools and gadgets these days for making cards and scrapbooking cards that most paper crafters don't know which ones to purchase first. One of my first cardmaking tools was a circle punch and a scallop circle punch. As I was envisioning different homemade card ideas, I wanted a shape that would serve as a focal point for many of my homemade greeting cards. Making decent squares or rectangles by hand was doable but making handmade circles was much more difficult so I decided my first craft punch purchase was going to be a circle shape. 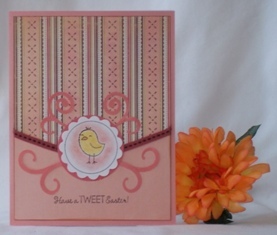 Tip #1 - For your handmade card making projects, use your circle punch to feature your sentiment. Create a thin or dotted circle on your computer for the border of the sentiment. The size of the circle will be a little bit smaller than the size of your craft punch. 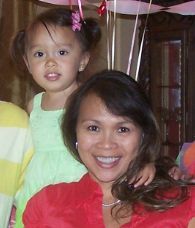 You'll need a graphics program but you can use Microsoft Word or Powerpoint, like I do for my handmade greeting cards. Type your sentiment inside the circle border. 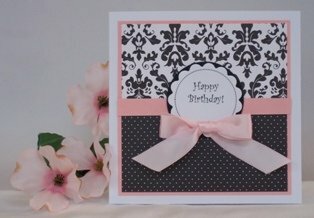 Experiment with different fonts that will match your card theme. I like to use scripted fonts for feminine cards and simple or classic fonts for masculine cards. Print out your sentiment and then use your craft circle punch to cut it out. 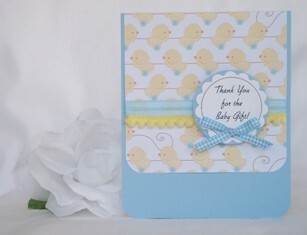 You'll need a steady hand to center the sentiment inside the craft punch. 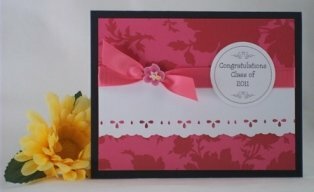 Once your sentiment is punched out on your hand made card ideas, you can tape it directly onto your card or add foam tape at the back to make the sentiment "pop" out. Tip #2 - Use your circle punch to feature a sticker, stamped image or charm on your card design ideas. 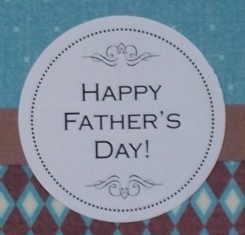 For your hand made card ideas, follow the instructions from Tip #1 and create a thin or dotted circle on your computer for the border of the sentiment. 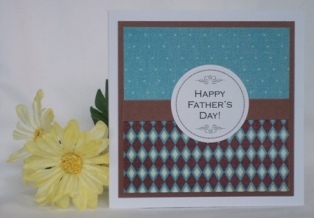 Print out the circle border and then use your craft circle punch to cut it out. Position and then adhere the circle onto your card. Select a sticker, charm, or any other embellishment that is smaller than the circle. The size of the embellishment should be one that will create a little bit of white space in between the border and embellishment. If you are stamping an image onto the circle, make sure the stamp is small enough to fit inside your circle. You can color the stamped image before or after you punch it out. If you are using glitter, punch out the circle before you add glitter. TIP #3 - Use a large circle punch to create a frame or border around a smaller circle or scalloped circle. Another type of circle punch I like to use is the scallop circle punch. You can use it alone or combine it with a larger circle. I chose one from the same manufacturer as my large circle punch. 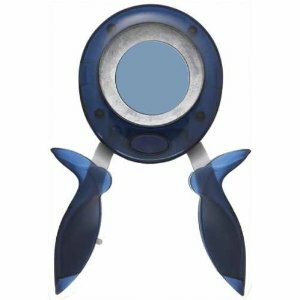 The scallop circle punch is just a smidgen smaller than the large circle punch so it fits nicely inside the larger circle punch. Sometimes you'll find the opposite scenario where the scallop circle is larger than the regular circle but either way, you can still apply the same techniques. For your paper card making ideas, apply the same tips as mentioned above for your scallop circle punch. Adhere a sticker, stamp an image or type your sentiment inside the scallop circle. 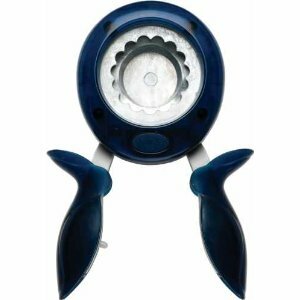 Just make sure whatever you add will be smaller than the scallop circle punch. After you add your sentiment or embellishment, carefully center and tape the scallop circle onto the large circle so that the larger circle frames the scallop circle and use contrasting colors for the different sized circles. Often times, manufacturers will offer different punch sizes so that you can layer them and create different effects. Circle punches are great for making custom greeting cards because you can customize the sentiment for whatever type of handmade card you need and it's not seasonal so you can use it all year long. If you are in search of a versatile tool to use for your handmade cards, start with a circle craft punch. Circle craft punches are a great addition to your card crafting supplies. 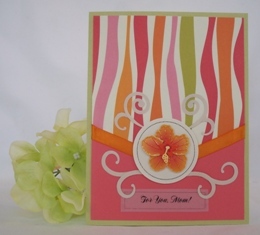 You can create lots of hand made card ideas to make handmade cards for all kinds of ccassions.